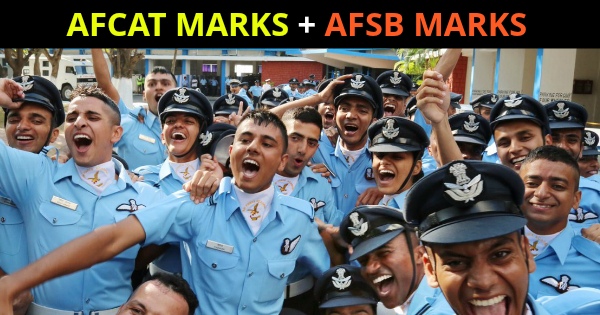 Many candidates are asking about the AFCAT marks and how low and high marks in AFCAT written exam affect your IAF Final AFSB merit list. Many candidates who have scored fewer marks in AFCAT means who have scored near AFCAT cut off marks are worried about the merit list. 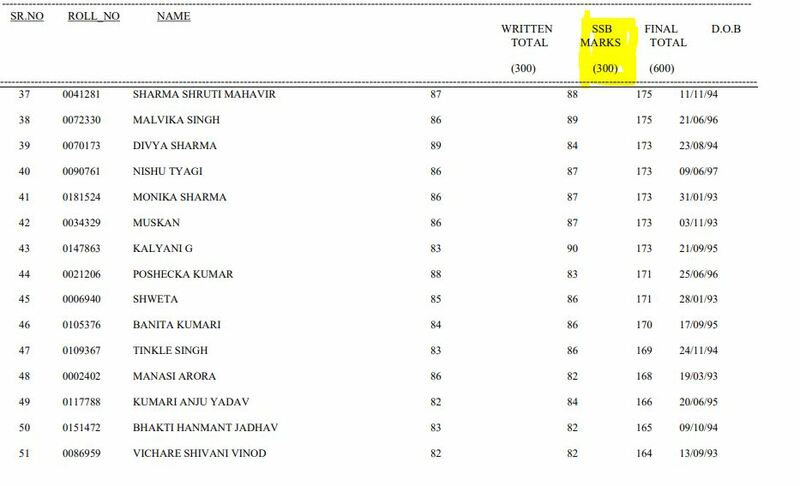 For example, the AFCAT 2 2018 cut off marks are 140 marks out of 300 marks and aspirant who have just cleared the AFCAT cut off are thinking if it is worthy to attend the AFSB interview because they might not clear the Indian Airforce final merit list with such a less AFCAT score. 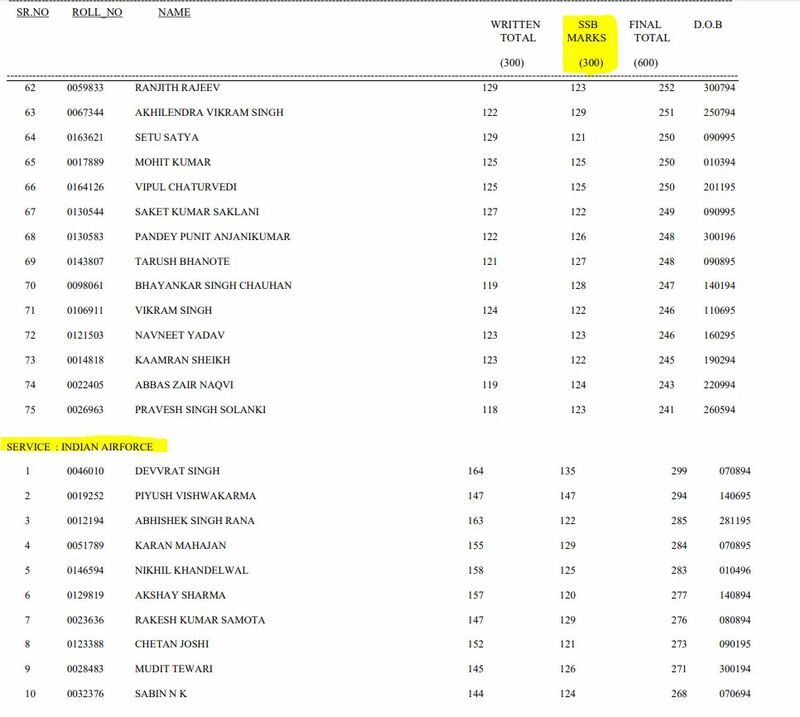 So you can see that the total intake in the recent years hardly went up to 150 candidates which itself shows the level of competition as around 2 Lakh candidates appear for AFCAT and EKT two times every year and the number of candidates applying for AFCAT is increasing with time. Not more than 200-300 candidates clear AFSB interview from various AFSB through CDS and AFCAT entry and the final intake is mentioned above. Will AFCAT marks affect the merit list? Yes, AFCAT marks do affect the merit list because they are added while preparing the final merit list. The final merit list is the combination of your AFCAT marks and AFSB interview marks. Having low AFCAT score will affect your final merit list so it is always suggested to score better in AFCAT but that doesn’t mean that you do not have chance to get merit in, your AFSB interview performance also matters a lot and there are many candidates who were merited out even after scoring around 200 marks in AFCAT because of low AFSB interview score. AFSB interview consists of total 300 marks and AFCAT consist of 300 marks so that total score will be out of 600 marks. Top recommended performers at AFSB score between 140 – 160 marks out of 300 and bottom recommended performers score around 80-90 marks out of 300 marks. As you can see, even you are recommended, your AFSB interview score can be around 90-100 marks out of 300 which itself can affect your final merit list irrespective of how you have scored in AFCAT exam. Should I attend AFSB interview with borderline marks? Yes, why not, you are among very few who have cleared the AFCAT exam and got a chance to face the AFSB interview, it is already mentioned above that the merit list is the combination of both AFCAT and AFSB interview marks and having low AFCAT score doesn’t mean that you do not have a chance. How to score more in AFSB interview? 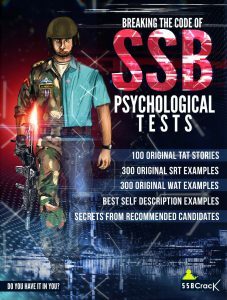 AFSB interview is similar to SSB interview, it is a 5-day testing process which mainly consists of 3 major tests namely, Psychological Tests, Personal Interview and GTO. The marks you score in AFSB interview come from the way you perform during these testings and not when you are sleeping or playing inside the AFSB campus. What you perform is what you get. To put this simply, if someone answers most of the current affairs questions asked to him/her in the personal interview, surely he/she will get some marks in that section compared to the guy who was not able to answer few or answered them wrong. For example, in GTO, the number of individual obstacles attempted successfully has no connection to getting recommended or not. But, a recommended candidate who attempts more obstacles than the other, surely he will get more points in that. In short, the way you perform at AFSB will decide your AFSB interview marks. So, always try to give your best in all whatever you face at AFSB. Also, you need to remember that AFSB interview is a personality based and your personality is defined with various things, your main objective must be to clear the AFSB interview and not to think much about how you are performing, if you think about tasks you have already performed, it might hamper your performance in the upcoming tests. So, always be with the clean, clear and positive mindset. There is nothing good or bad, there is no right and wrong, it is all about them finding the best fit for the organisation. At last, we suggest you forget about your AFCAT score and focus on the AFSB interview. Even if you do not make it in the final merit list, clearing AFSB interview itself is a big challenge and it teaches you good lessons for the life. Hope this will help you in your upcoming AFSB interviews. if you are preparing the interview, we suggest you get the SSBCrack books for the preparation that have benefited 1000s of defence aspirants. Next Post Why is SSB Screening Test a Nightmare?